For the second year running, Rotherham-based Endeavour Forklifts has been recognised by Mitsubishi with an award for demonstrating excellence in forklift sales. 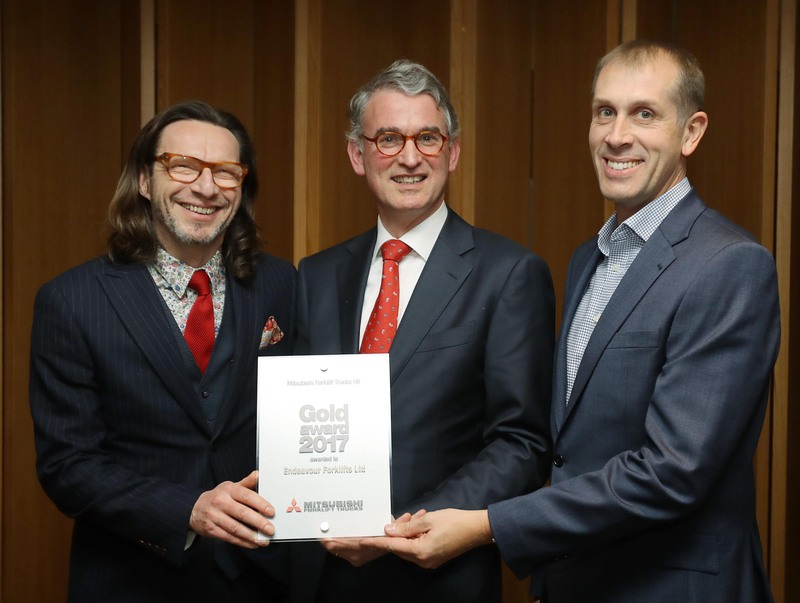 The annual Mitsubishi Forklift Trucks Dealer Awards, this year held in Dublin, saw Endeavour managing director, Jason Reynolds and sales manager, Ken Jackson take home a prestigious Gold Award in recognition of an exceptional year. The award honours those dealers who shine in supporting their customers from initial contact to long term after-care. Endeavour was awarded for achieving its volume target as the exclusive distributor for Mitsubishi forklifts in South Yorkshire. To find out more about hiring or buying new and used materials handling equipment from Endeavour Forklifts, call 01709 242505 or email info@endeavour-forklifts.co.uk.